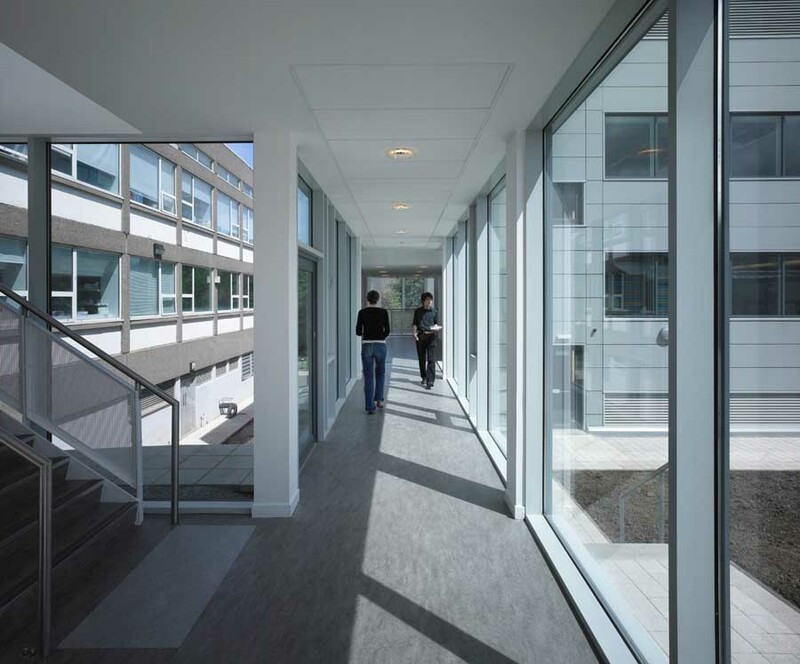 Holmes has designed a bespoke new home for the Centre for Systems Biology on the University of Edinburgh’s King’s Buildings campus – the 3-storey Waddington Building, providing 1600 sq m of laboratory, office and ancillary spaces. The project’s successful completion and delivery was celebrated at a special event on Friday 11th September with a keynote lecture by Nobel Laureate Professor Sydney Brenner, Senior Distinguished Fellow of the Crick-Jacobs Center, and one of the past century’s leading pioneers in genetics and molecular biology. 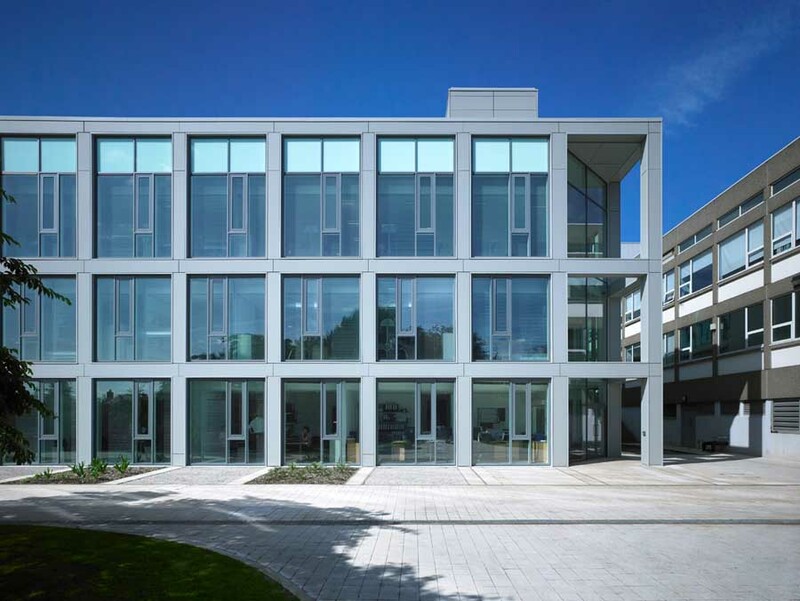 The building benefits from an abundance of natural light through floor to ceiling windows which give pleasant views onto attractive landscaped gardens. 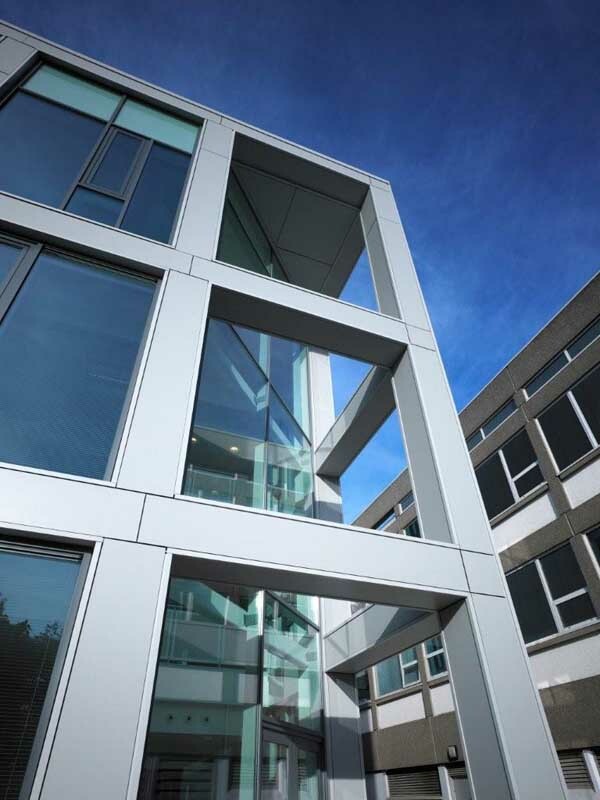 The building has been designed as extremely energy-efficient, reflecting the university’s commitment to sustainability. 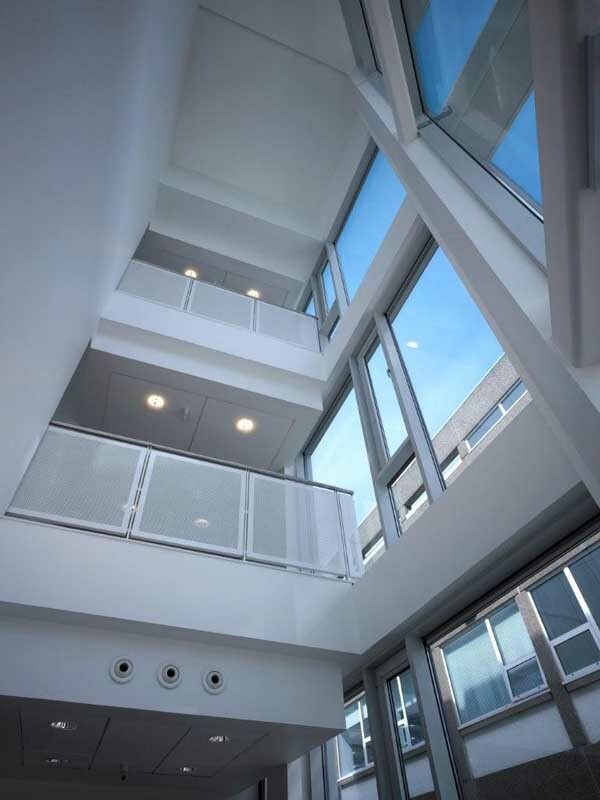 The structure is highly-insulated with construction detailing to minimise air permeability and thermal bridging. 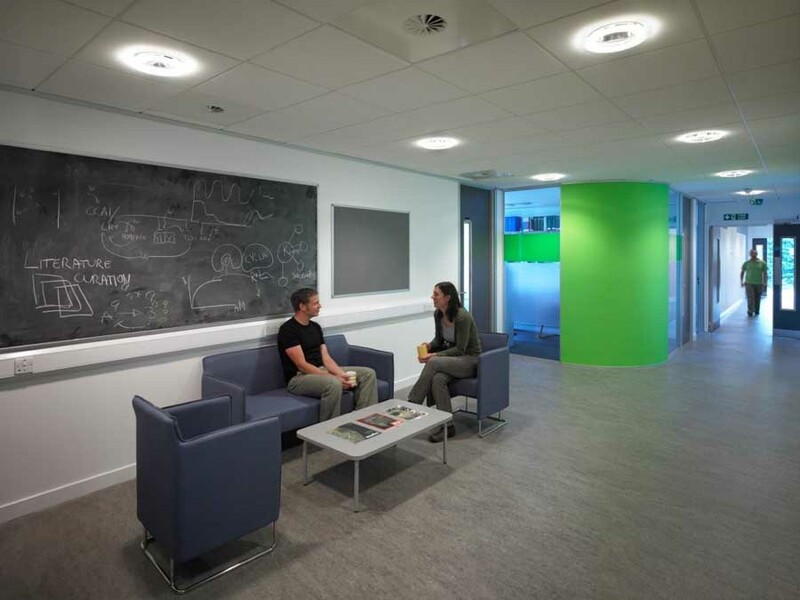 Low energy lighting supplements the natural light via integration of lighting control software and is connected to the campus combined heat and power (CHP) system. There are two distinct zones located on either side of a central circulation spine – laboratories on one side and offices on the other. A key element of the brief was the interface with the Rutherford building, nurturing and supporting communication between the two facilities. Staff are provided opportunities to meet and chat informally at both specially conceived ‘play spaces’ and informal ‘eddy’ points on the circulation routes. 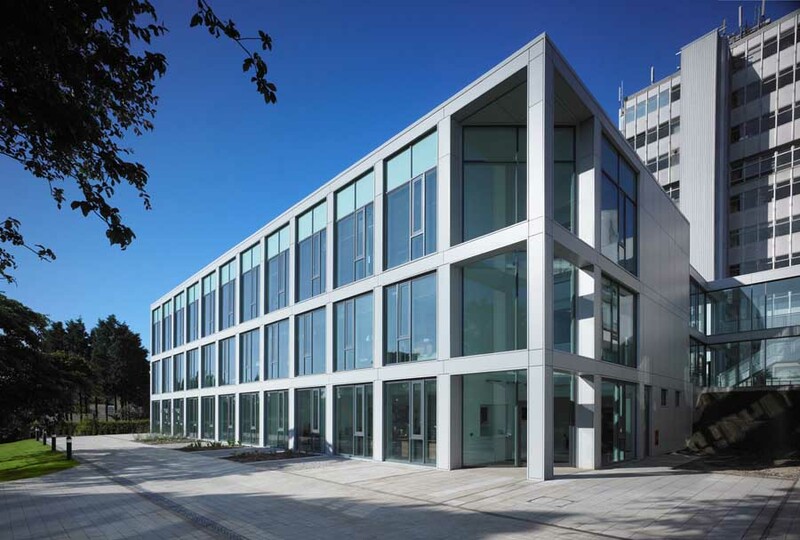 Externally, the building exudes a quite confidence through appropriate scale and massing and a simple grid fenestration which sits comfortably alongside the existing Rutherford Building. 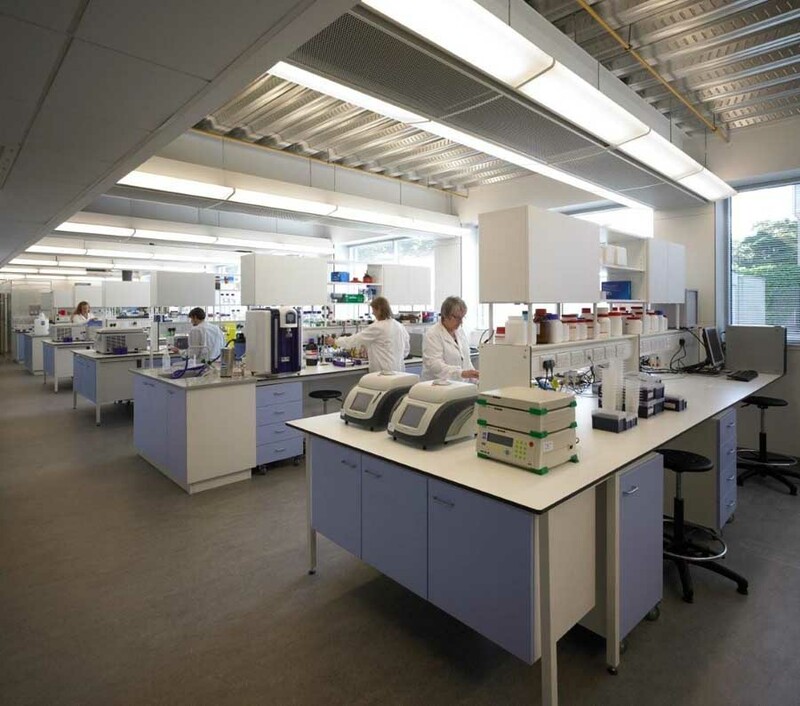 The Waddington building was commissioned by the University of Edinburgh in 2006 and represents the first phase of a possible two-phase building programme by the School of Biological Sciences. Holmes was appointed after its successful completion of the redevelopment and refurbishment of the adjacent Daniel Rutherford building. 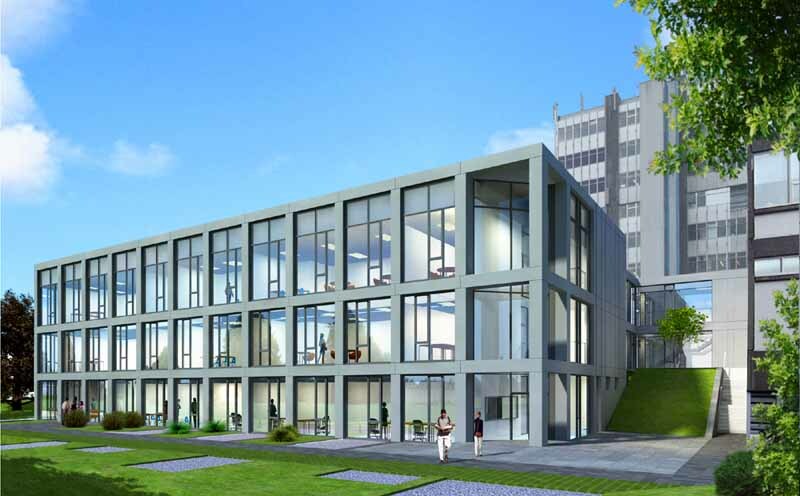 Planning permission has been granted for a new research facility for the School of Biological Sciences on the University of Edinburgh’s King’s Building Campus. The three-storey Waddington building, designed by Glasgow and Edinburgh based architects Holmes, will link to the existing Rutherford building and will provide the school with purpose-designed laboratory space and modern and energy-efficient office facilities in an attractive, landscaped setting. The new building will complement and enhance the surrounding garden landscape with a subtle and open design approach – large floor-to-ceiling windows will offer attractive uninterrupted views. The three storey element facing the garden has a raised parapet which will mask a future roof mounted greenhouse. The proposed building is intended as phase 1 of a three-phase development, in accordance with the University’s masterplan for King’s Buildings Campus. 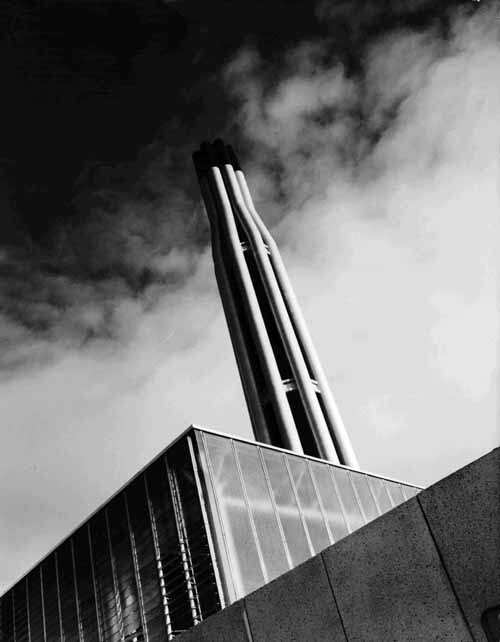 Buildings by the Basil Spence practice, Hurd Rolland Architects and Michael Laird Architects.